ImmersionRC SpiroNet 5.8 GHz Patch Antenna has now been replaced with the ImmersionRC 5.8 GHz Right-Hand (RHCP) Circular Polarized patch antenna. 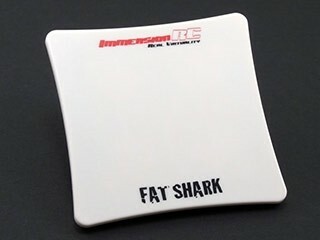 The ImmersionRC Fat Shark Spiro Net 5.8 GHz Circularly Polarized patch antenna have been custom designed for First Person View applications. 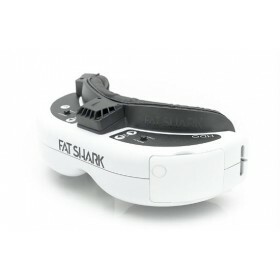 This compact 13 dBi 5.8 GHz Circularly Polarized antenna is small and lightweight, which means that it can be mounted directly onto any of the LCD headset from Fat Shark, like the Fat Shark Attitude V2 goggles. The Immersion RC Uno or Immersion RC Duo receiver’s users will also find this 5.8 GHz Circularly Polarized antenna very useful to extend the range and reliability of the Uno or Duo receivers which allows the best possible video link to you craft. 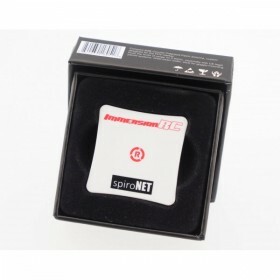 The Spiro Net 5.8 GHz Circularly Polarized patch antenna's have been manufactured to very tight tolerances and are tested on professional antenna testers (Rhode & Schwartz) to ensure maximum range and performance is delivered. The range of an ImmersionRC 5.8 GHz 25 mW Transmitter is extended out to a much greater distance when used with ImmersionRC SpiroNet 5.8 GHz Circular Polarized Antennas, many users experience video reception in excess of a mile, while the ImmersionRC 600 mW 5.8 GHz Long Range Transmitter using the patch antenna on the receiver can exceed 3 miles in the right conditions when used with the ImmersionRC Spiro Net 5.8 GHz Circular Polarized antennas on the transmitter. 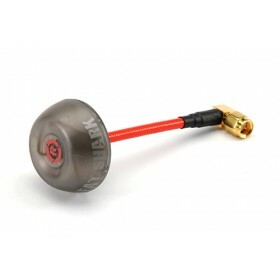 SMA connector compatible with all FatShark / ImmersionRC 5.8 GHz products sold to date. This patch antenna is quite expensive but well worth it. The extra range it gives when listening to the helical spironets is amazing. It's very well made and light. Superb service from BYOD, as always. 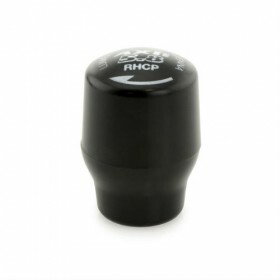 A must have for any long range fpv setup! Great performance at range, perfect for tracker sytems... I prefer it to the helical as it is more sturdy and protected by its plastic. I would highly recommend it!